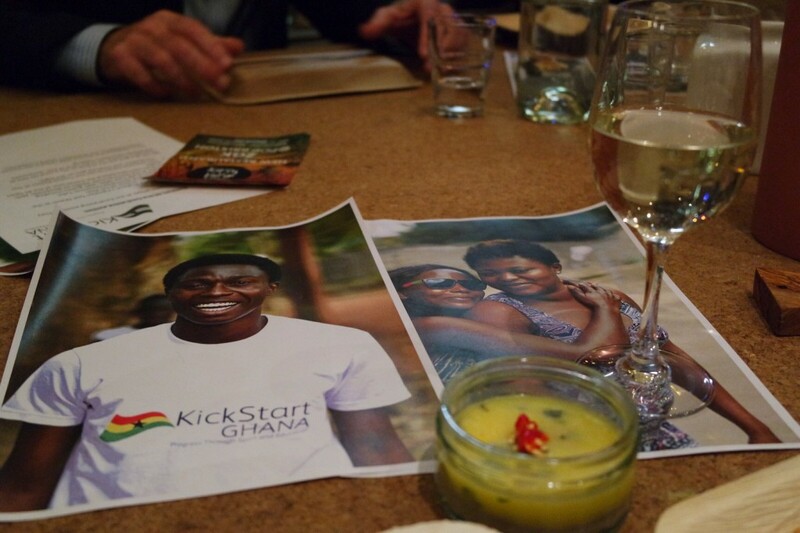 KickStart Ghana is delighted to be hosting its annual Fundraising Dinner at Unwined in Tooting, a delightfully quirky wine bar, in Tooting Market. Zoe Adjonyoh from Zoe’s Ghana Kitchen will be providing the food, so you will be able to sample a delicious selection of typical Ghanaian dishes. Tickets are just £25.00 per person and, of course, include the buffet style meal. Additionally, we will be giving £5.00 worth of raffle tickets to everyone attending. 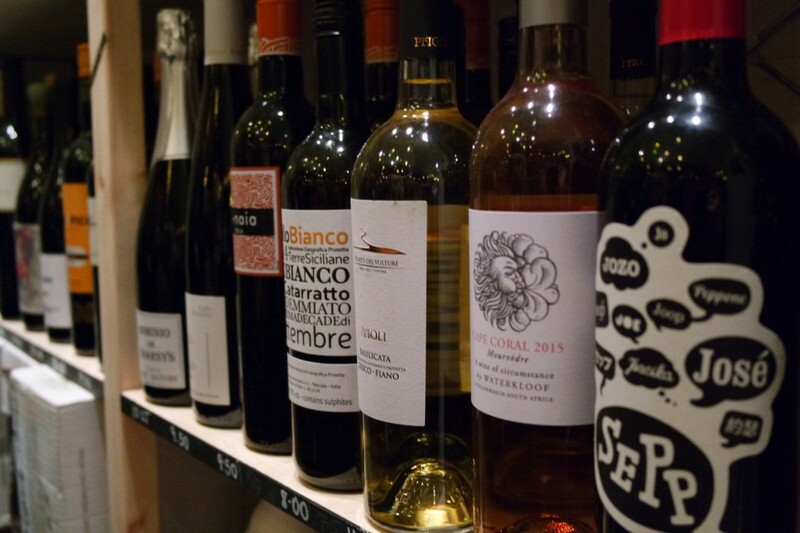 You will have the opportunity to purchase just the right wine, beer or soft drink to complement your meal from the excellent selection available at Unwined – their staff will be happy to help you choose! During the evening there will be an update on the achievements of KickStart Ghana over the last year, an auction of promises and a raffle, plus a few surprises along the way! Get feasting and get funding for KickStart Ghana! Unwined is a wine shop, bar & kitchen in Tooting Market, created by pop-up wine company A Grape Night In. Here you can expect to find a welcoming space, filled with quirky wines, monthly changing themes and guest chefs taking over the kitchen. 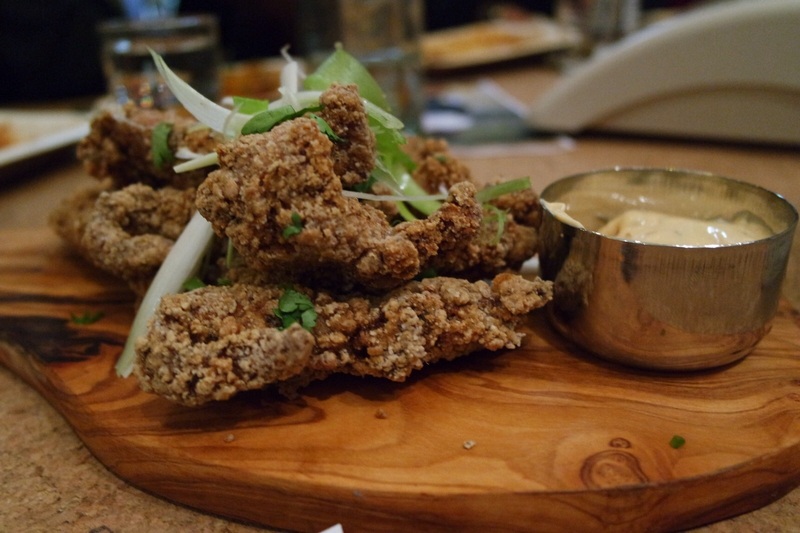 Zoe’s Ghana Kitchen is a dining event and catering service which merges its Ghanaian roots with a contemporary dining experience. Home spun, home cooked food. Always fun, always relaxed and always tasty… Zoe has her first cook book coming out imminently and has recently appeared on Channel 4 with Jamie Oliver. Read our second blog from Stephanie who met our latest bunch of volunteers last week. It’s been a busy couple of weeks preparing for the Summer School, and most of our international volunteers have finally arrived in Ho! Alex, Amelia, Estefania, Joe and Gareth are all students at Leeds Beckett University, and they are joined by Shoshanna, who studies at University of California- Davis in the US. I had a fun couple of days in Accra going to meet everyone. With funding from LSE Careers, as part of the Santander Universities scheme, KickStart Ghana has appointed Richard Yeboah, BSc in Economic History 2017, on a four week contract as our first Action at Home Coordinator. 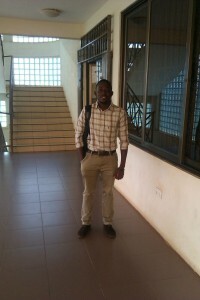 Richard will be blogging about his experiences during his time with KickStart Ghana. I came to first hear about KickStart Ghana through a conversation with Dave (co-founder), during an LSE networking event. He gave me a brief insight into the amazing work they do in the Volta Region and immediately I became fascinated by their vision to equip Ghanaians with the resources to fulfil their potential and have every opportunity to succeed. Our new blogger, Joely Harris, takes the opportunity to introduce herself in her first blog for KickStart Ghana and explain about the importance of education in reducing inequalities so that SDG 10 can be achieved. My name is Joely Francesca Harris. I am a 22 year old vegetarian prospective Secondary English Teacher about to begin my teacher training at Oxford University in September. At Christmas I cut off ten inches of hair to give away to The Little Princess Trust, raising over £400 for the charity in the process. I regularly volunteer with Frank Water, a fantastic charity that supports clean water sanitation projects in India. 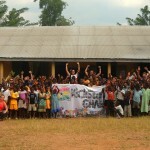 My connection with KickStart Ghana began in the summer of 2013 when, through their volunteer programme, I taught at St Cecelia’s Summer School in Ho. I am about to embark on a trip to New York to work with World Merit in their programme Merit360 to help tackle the United Nations Sustainable Development Goals. These blogs are aiming to look at SDG 10: Reduced Inequalities and how KickStart Ghana is already working towards this goal. We were delighted when Stephanie Macwilliam agreed to sign up as our 2016 Volunteer Coordinator. Having completed TeachFirst and now the Course and Programme Co-ordinator, Children People and Young Families at The National Communities Resource Centre at Trafford Hall we she would be fantastically qualified to volunteer with KickStart Ghana. Over the summer she will be supporting our volunteers to make sure that they can really make an impact on our projects, including the 2016 summer school and reading club and coaching at Dynamo FC. She’ll also be evaluating our impact and working closely with the Ghanaian board on other projects. She’s going to be blogging about her experiences over the summer and below is her first. We hope you enjoy. In August 2015 Anna Vindics went on a learning trip with KickStart Ghana to see what work we undertake and what role a small NGO can play in international development. Both before and since her trip she has been volunteering for KickStart Ghana on future business plans and research. Anna, an LSE MSc graduate, now works for the OECD in Paris. Thank you to Leeds Beckett University for allowing us to share this post. The original can be seen on their website. Gareth Robinson, second year Sport and Exercise Science student, spent six weeks making a difference last summer in Ho, Ghana. 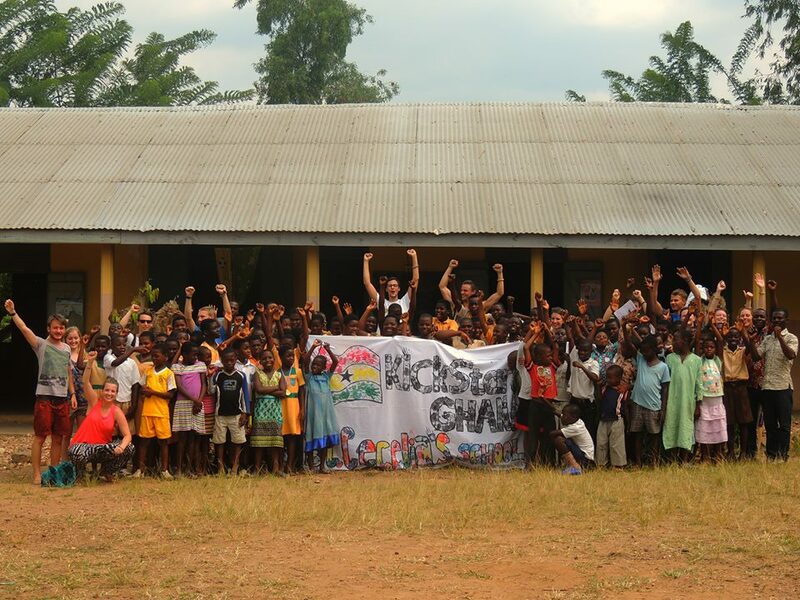 Gareth volunteered on a joint project between Leeds Beckett University and KickStart Ghana during the summer of 2015. Here is what Gareth had to say about his experience. 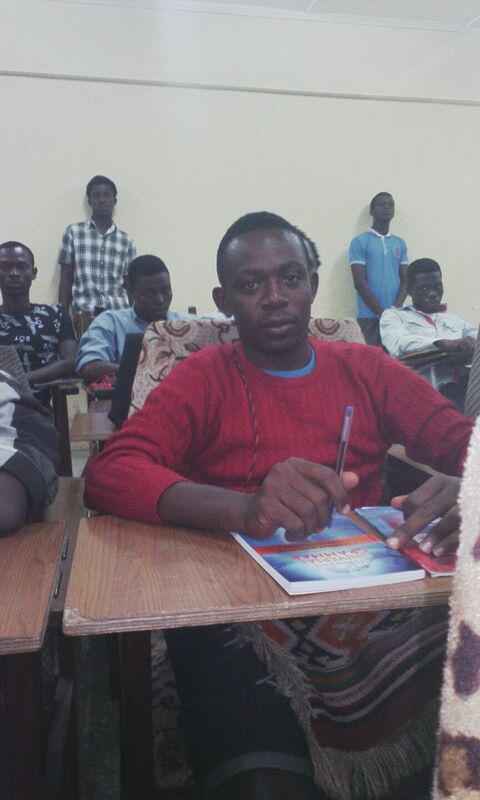 We are delighted to announce that KickStart Ghana is assisting Eric Coco Mawuenyegah, a KickStart Ghana board member, with his school fees to attend Ho Polytechnic. Coco has been volunteering for KickStart Ghana for five years now, most recently as Volunteer Coordinator, helping to recruit and manage Ghanaian volunteers. Coco had the following to say. “Look at me, you see a professional right?!? Hahah. Well not yet, this is me after my lectures. 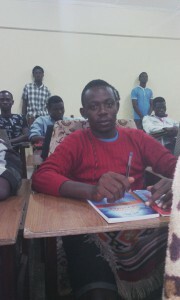 When I was least expecting to be back studying, though still dreaming of the possibility, KickStart Ghana chose this moment to make this dream come true. I feel very privileged and lucky to be part of KickStart Ghana’s plans of raising the education standards in the Volta Region of Ghana. Thank you to all of KickStart Ghana’s supporters for working with us to help people like Coco achieve his potential. If you would like to support us in helping others please consider setting up a regular donation . KickStart Ghana is having a fundraising night hosted by Unwined in Tooting with food provided by Zoe’s Ghana Kitchen. There will be delicious Ghanaian food, copious amounts of specially selected wine, a fundraising auction and a few more surprises. Plus you’ll get to hear about all the fantastic work the charity has been up to over the past year. When: 22nd October, from 7pm. Where: Unwined in Tooting within Tooting Market (two minutes walk from Tooting Broadway). Tickets are £30 for a fixed menu of Zoe’s favourite dishes.